Its use may inadvertently put your reservation at risk. Proceeds directly support the Bruce Reynolds Memorial Fund. Contributions for this event unfortunately, are not tax deductible as our fiscal sponsor (Open Space Institute) is not set up to cover such events. If you prefer, as you may be unable to attend on this occasion, tax deductible contributions are possible HERE. A perfect offering for the year’s end! Best Wished & Thank You For Your Continued Support! 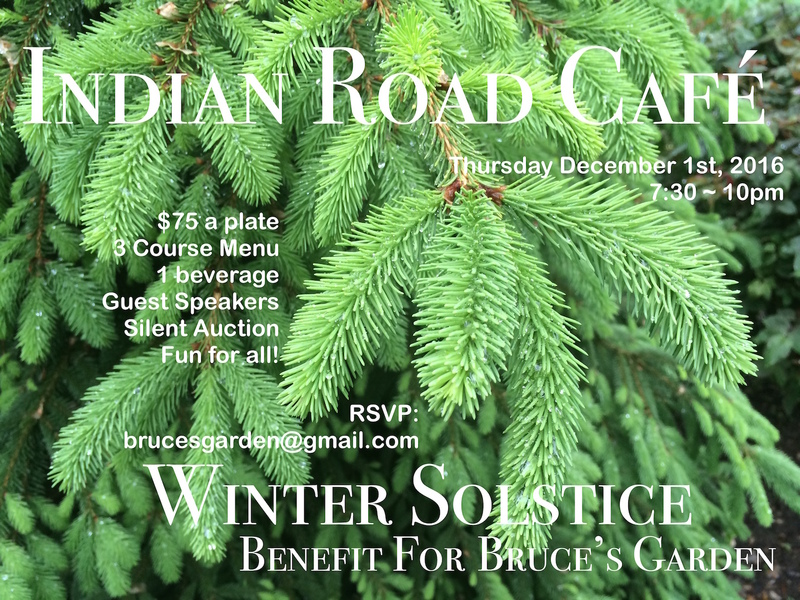 We humbly ask, you donate 1 painting of Bruce’s Garden (8″ x 10″ or 9″ x 12″) for a Silent Auction during the Benefit. It goes without saying, you would be recognized for your work and contribution. Please let me know if this is something you could do. If not, point me in the right direction and/or suggest to others who may be interested. Again, your determined value of the donated work will be the opening bid.